Lock in a great price for FourRooms - rated 9.9 by recent guests. Michael and Paul were wonderful hosts from the greeting until checkout. The morning breakfast I had was exceptional and the presentation of the food was also 5star. A overall wonderful experience staying at the FourRooms BB. What a find! Michael and Paul made us feel at home immediately explaining everything in detail and offering so much during our stay. Our room (Spring) was delightful, warm, prestigiously clean, light and with a selection of hot drinks and biscuits.The bathroom just sparkled with cleanliness and had everything in its place. Breakfast was exceptional, with a variety of cereals, fruit, yogurts not to mention the main full English and the extras menu to choose from. To sum it all up a "Home from Home" experience. Very clean and bed was super comfortable. Hosts Michael and Paul were great. Always around if any questions, cooked a great breakfast and even got us a wee birthday gift. Highly recommend! Michael and Paul are fabulous hosts and their guest house is stunning. We only got to stay one night but will definitely be returning. They 100% deserve their 5 star rating. We stayed in the winter suite and pictures just cannot do it justice. Seeing is believing! Paul makes the most delicious breakfast and the choice is endless. Michael and Paul really have thought of literally everything, the place is beautifully decorated and so immaculately clean. 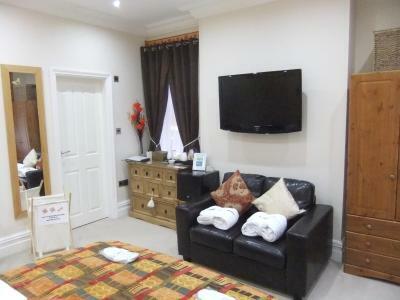 I would recommend Four Rooms to anyone looking for that wow factor and personal friendly touch. So glad I chose Four Rooms, thanks guys.....Amazing! We were made very welcome by Michael and Paul, they could not do enough for us. Everything was 5 star quality, the room, the service and the breakfast. We would highly recommend with B&B. This is a first class B&B!! From the moment we arrive and we're met by Michael and Paul, our stay was fabulous. 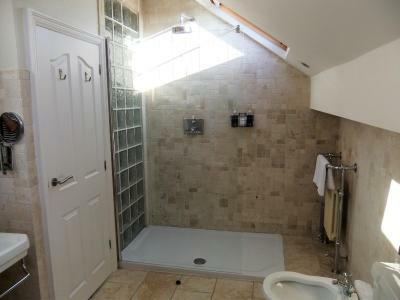 The property is immaculate and funished wonderfully. Everything about Four Rooms was 5 star+. The attention to detail was awesome. 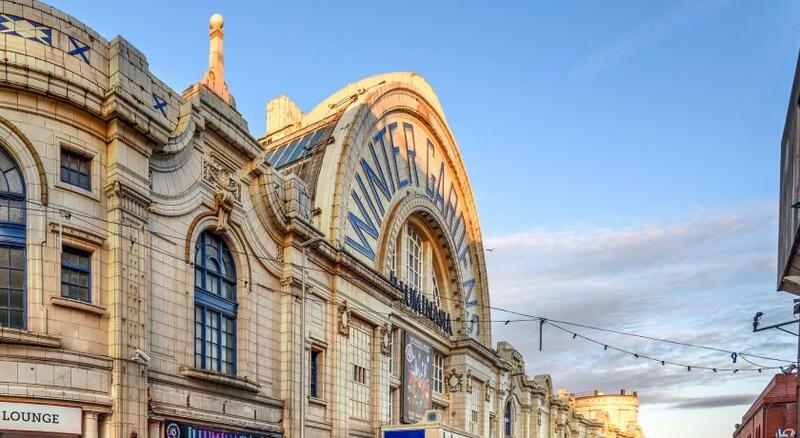 FourRooms is located in the central area of Blackpool, 550 yards from Winter Gardens Theatre and Conference Centre and a 10-minute walk from Blackpool Tower. Free WiFi is offered and free private parking is available on site. 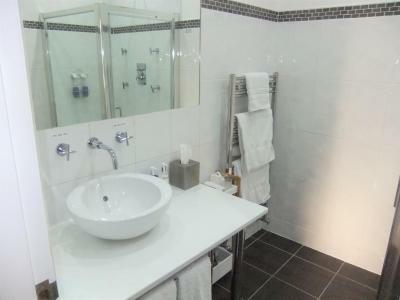 Each bedroom offers an en suite bathroom, complete with bathrobes and slippers. 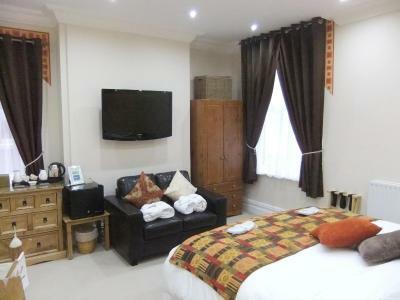 The rooms include a super-king sized bed, a flat-screen TV and an iPod docking station. 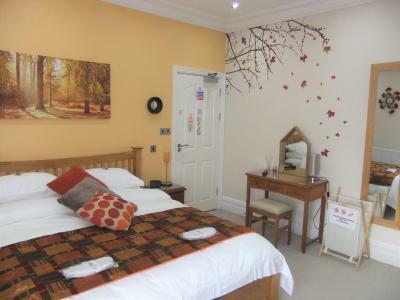 All bedrooms have a seating area to relax in after a busy day, with tea and coffee making facilities. 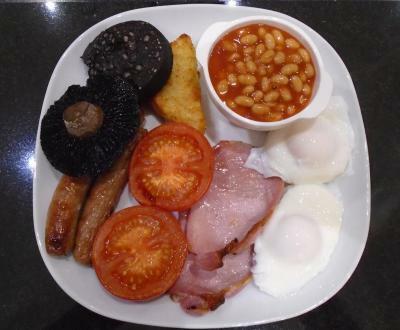 In the mornings guests are served an array of award-winning breakfast options including a full English breakfast, using locally sourced ingredients. FourRooms is half a mile from the Grand Theatre. Guests can reach the North and Central Piers within a 15-minute walk. Blackpool North train station is one mile from FourRooms, and Manchester Airport is 57.8 miles from the B&B. 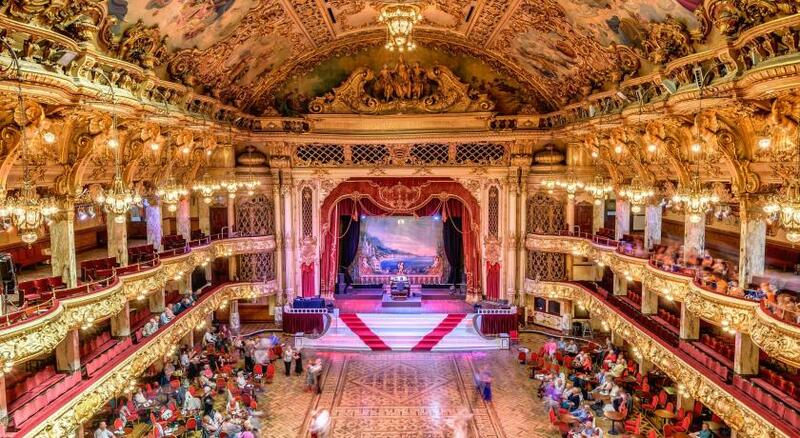 This is our guests' favourite part of Blackpool, according to independent reviews. 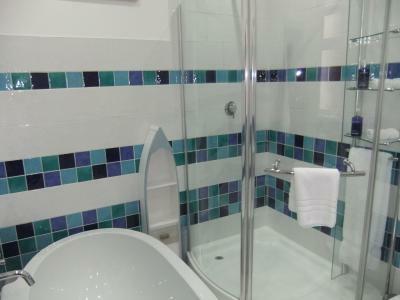 This property also has one of the best-rated locations in Blackpool! Guests are happier about it compared to other properties in the area. FourRooms has been welcoming Booking.com guests since 29 Sept 2015. When would you like to stay at FourRooms? 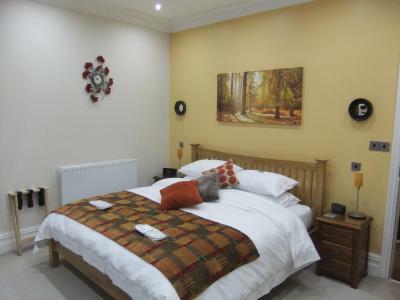 This large bedroom includes a super-king sized bed, and a seating area with a TV and iPod docking station. 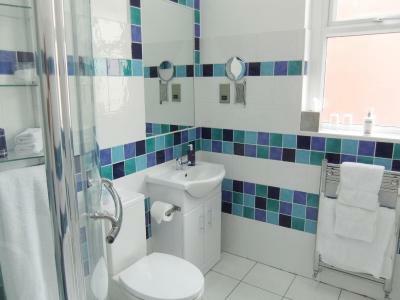 The bedroom offers an en suite shower with complimentary toiletries. This superior bedroom includes a super-king sized bed, and a seating area with a TV and iPod docking station. 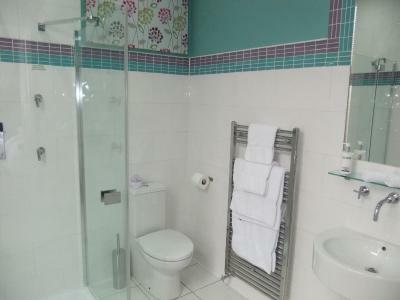 The bedroom offers an en suite shower with complimentary toiletries. This superior bedroom includes a super-king sized bed, and a seating area with a TV and iPod docking station. 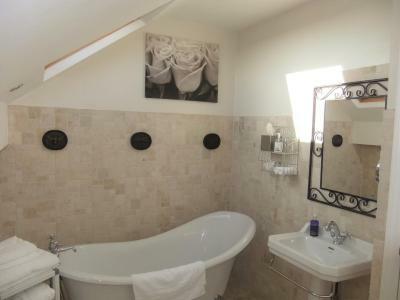 The bedroom offers an en suite bathtub and shower with complimentary toiletries. 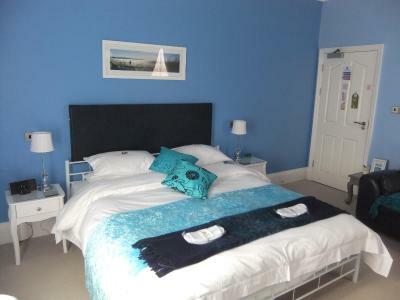 This superior bedroom includes a super-king sized bed, and a seating area with a TV and iPod docking station. 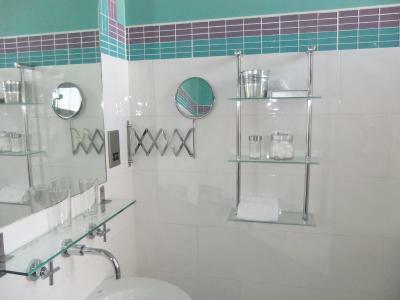 The bedroom offers an en suite bathtub, shower, and bidet, with complimentary toiletries. House rules FourRooms takes special requests - add in the next step! FourRooms accepts these cards and reserves the right to temporarily hold an amount prior to arrival. Kindly note late check-out after 10:30 is not available. FourRooms does not accept bookings from Travel Agents. Please note that this property is not suitable to guests with mobility problems. Please inform FourRooms in advance of your expected arrival time. You can use the Special Requests box when booking, or contact the property directly with the contact details provided in your confirmation. Everything was absolutely perfect. The only thing we didn't like was having to leave. Wow. My parents booked for my and my sister to stay here for a weekend break as a Christmas present. As a 21 year old and 19 year old we weren’t sure how well we’d fit in to the BnB life in Blackpool. As soon as we stepped in the door we felt welcome and at home. Michael and Paul are the most wonderful hosts’, from their 5* breakfasts to the way they catered for our every need and made us feel like family. The rooms are absolutely exquisite. We stayed in the Spring room which had a brand new carpet and bed in (they keep updating all the rooms to ensure the highest quality). Everything in the room was immaculate and they accommodate for everyone’s needs with a detailed tea and coffee facility, shower with wall fitted jets, dressing table and spotlights (nothing worse than a dimly lit room) to list but a few. The super king size bed was extremely comfortable and the leather sofa provided somewhere to sit and relax without having the sit on the bed. We got waved off every time we went out and directed on where was best to go, and welcomed back in everytime we came back with open arms. I would say to people that if you are wanting a really boozey do in Blackpool then probably best not book here. The BnB is a quiet escape from the Blackpool front and is catering for those who want a peaceful stay. The breakfasts cooked by Paul and served by Michael alongside a range of yogurts, cereals and proper coffees are the best breakfasts I’ve ever had the pleasure of eating-it definitely isn’t a greasy fry up! Everything is fresh and cooked perfectly alongside homemade bread (which me and my sister became hooked on!). You can clearly see the effort and pride that both Michael and Paul put it 365 days a year to make their BnB the best BnB. Blackpool isn’t somewhere we expected to want to return to again and again so frequently but we are going to be finding any excuse to go back just so we can return to The FourRooms. The welcome summary was far too long and I didn’t think it was appropriate for them to be telling us awful stories about previous guests - and the stories were rather off putting! There are too many notices / rules throughout the B&B to the point where I felt uncomfortable in case I accidentally did anything wrong. One of the rules is “no fake tan” which i fortunately didn’t have on, but if I did it would have been rather uncomfortable. There is a sign post and a place for everything (even the cushions on the bed and your car key) which we felt was far too over the top - everything needs to be relaxed a little! Michael and Paul were extremely friendly, the room and bathroom were a great size and were spotless. We had everything we needed in the room plus some little extras. Nothing. Michael and Paul have put their hearts and souls into making this a perfect place for their guests to stay. Nothing at all. We would stay here again without any hesitation. Our stay Four Rooms was fantastic from the moment we arrived. Reserved parking, warm welcome, excellent room, comfy bed, fantastic breakfast, etc. Too many positives to list.